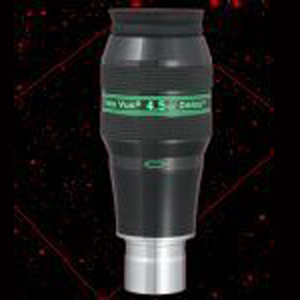 TelevueDelos 4.5mm Eyepiece - 1.25"
ThisTele Vue Delos Eyepiecehas a 4.5mm focal length and is presented in a 1.25" format. ThisTele Vue 4.5mm Delos Eyepieceachieves full field sharpness, virtually perfect f θ (theta) distortion mapping, and color neutrality. Available during Fall 2012. Pre-order now for fastest delivery!